Fantastic Fireworks is a funky little slot from IGT. Cute and zany firework characters are your symbols, and they are set on a 5×5 grid of a starry night sky. The unusual 5×5 grid is part of a fast moving “all ways pay” game, where all you need is to get 3 or more symbols touching each other on adjacent reels to win. On top of that, there characters can affect each other and cause exploding symbol. It’s really a lot of fun and that’s not even counting the bonus games. This is a cute slot and you can check out the popping action at one of these trusted slot sites. The excitement with Fantastic Fireworks starts with setting your bet. This is rather easy – you only need to change your coin value, which ranges from £0.01 all the way up to £20. You’re betting 20 coins at any given time, so that makes minimum bet at £0.20 per spin, which really isn’t bad for an all-ways-pay game. When you’re ready, set off the fireworks with the yellow Spin button. The Autoplay button is the blue button right next to it. Each character’s state can cause the symbols to explode. Bonus: another firework character with the word Bonus on it. Obviously, this will trigger a bonus game! Fantastic Fireworks has a fixed jackpot of 50x your coin value. Get 5 of the same firework characters (in any state), touching each other on adjacent reels and that’s yours. Now, 50x your coin value might not sound like much, but unlike other slots, any 5 of the characters can get you this prize, which makes it much easier to score a win! Then, every explosion will also get you some extra coins. If you have 1 explosion, that 20 coins, and if you line everything up and everything starts going off, with your 7th explosion, you can win 200 coins! Floating Reels: When you spin a winning combination, the symbols in the win will explode and disappear. And unused special symbols remain in place as new ones float in. That means if you were close to a win on the other symbols, you might just set off another round of explosions with the new spin! Exploding Symbols: Each firework character can go into different states. If you have 4 of them, then they will come together to form 1 Boom character than will explode symbols close to it. 5 symbols will give you a Super Wild character that will explode symbols close to it as well as further away. When you have intersecting symbols, you’ll get a Crisscross symbols that will explode that row and column. And of course, explosions are good things that can pay up to 200x your coin! Rocket Meter Bonus: During your spins, you will collect Sparkler symbols. When you have collected 20 of them, it will trigger one of the following bonuses. Alternatively, just 1 Bonus symbol, the Rocket with Bonus written on it will also have the same effect. Free Spins Bonus: 8 free spins with special symbols (i.e. explosions!) on every spin. Cannon Bonus: Pick a canon and reveal a cash prize! Fantastic Fireworks is a colourful and cheerful slot. The smiley firework symbols are bound to brighten up your day (or night!) and watching them transform into sizzling explosions is just as fun as it is lucrative. The animation is smooth, the action is smooth, and the symbols float upwards towards the sky. The soundtrack is light and pleasant, highlighted with the sizzling sounds of fireworks and booms when you win. 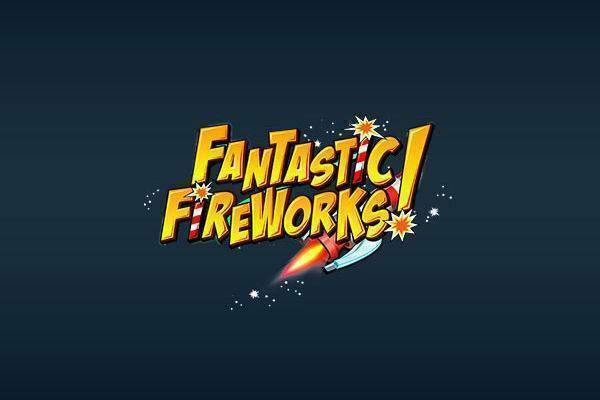 Fantastic Fireworks is a brilliant game from IGT. It breaks from the usual slot format with its 5×5 grid, and offers lots of opportunities to score wins in different ways. The firework characters are also charming with their crazy smiles and it’s great entertainment. All in all, the Fantastic Fireworks slot is beautiful eye candy that can pay very frequently. Let it blow you away at one of these recommended slot sites!